Configuring a computer to obtain an IP address automatically will enable it to get an IP address from a DHCP server. 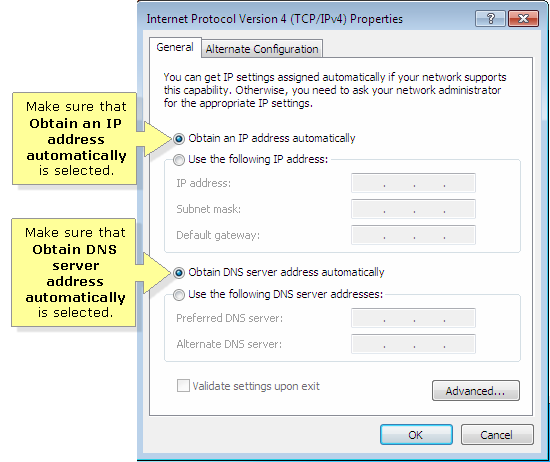 Instead of manually entering the IP settings which will consume much time, performing this procedure will ensure that the computer will get the correct TCP/IP settings automatically. NOTE: Make sure that the computer is connected to a network with a DHCP server. Click the Wireless icon at the bottom-right of the screen, and click on Open Network and Sharing Center. In the left pane under Control Panel Home, select Change adapter settings. 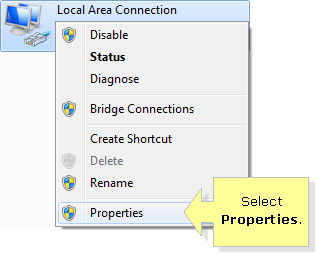 On the Local Area Connection Properties window, select Internet Protocol Version 4 (TCP/IPv4), then click Properties. Make sure that the radio buttons for the Obtain an IP address automatically and Obtain DNS server address automatically options are selected. Click OK to save. Your computer is now configured to obtain an IP address automatically. NOTE: IPv4 addresses are to be replaced by the new IPv6 addresses. Activate IPv6 connectivity on your network by asking your Internet Service Provider (ISP) to provide IPv6. 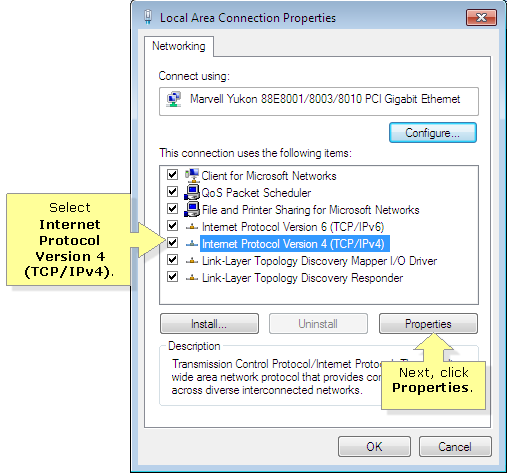 To learn how to verify if your system is capable of IPv6 connectivity, click here.